I'm a sucker for infographics, as you might have noticed. 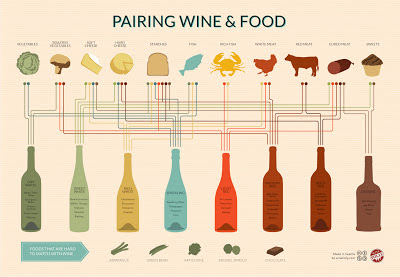 I came across this 'Pairing Food and Wine' infographic the other day and had to share it with you. It was posted on Fast Co Design, but you can buy the print from Wine Folly here. I can usually pick a good wine to match certain foods (red with meat, white with fish etc), but this helps clarify some specifics like types of seafood and meats, plus fresh veges vs roasted veges. I'm going to keep this in mind when next cracking open a bottle with dinner. Plus, it would just look so good in the kitchen. Nice info-graphic! Wine brewing is not just a hobby, even most of the people pair up the food with wine. Different people have different opinions about pairing wine with food. 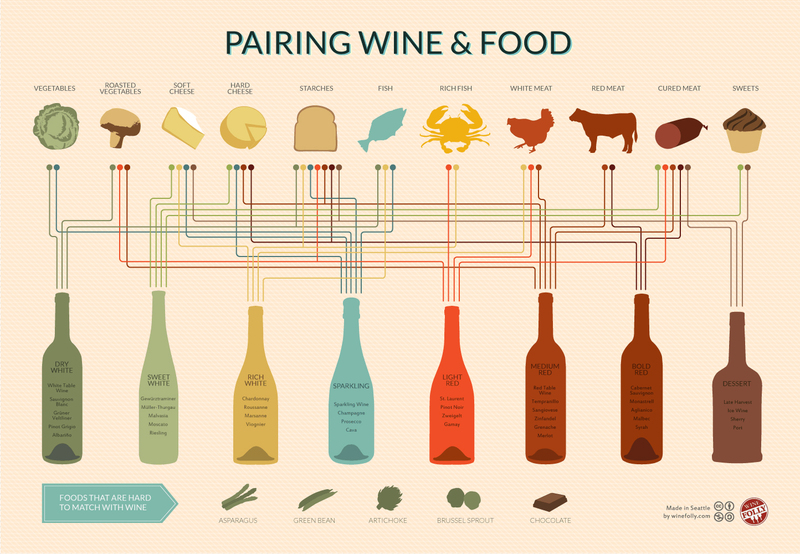 The most common pairing is white wine with fish and chicken, red wine with steak and pasta. I also love to pair up white wine with fish. Pairing the food with white wine increases the taste of food and a great source to enjoy your food.